Home > MEDICATION & YOU > Why should you use registered medicines? All medications either pharmaceuticals or traditional medicines must first be registered with the Drug Control Authority (DCA), Ministry of Health Malaysia before it can be imported, manufactured or sold in Malaysia. The objective of product registration is to ensure that all registered pharmaceutical products have been evaluated in terms of safety, efficacy and quality, while the traditional products evaluated and tested for safety and quality with the main aim of protecting and preserving the people’s health. Various measures have been taken in order to ensure that all products which can be accessed and used by the public are safe and of quality.Controlled medicines containing schedule poisons and general medicines (Over The Counter Medicines) are ensured safe, of quality and effective as it intended for whereas traditional medicines are ensured of quality and safe where the level of microbial content and heavy metals such as lead, Arsenik, mercury and Cadmium are at acceptable level.Before a product is approved to be marketed in Malaysia, it must first go through the various stages of evaluation and testing based on the principles of quality, efficacy and safety by the National Pharmaceutical Regulatory Agency (NPRA) as the secretariat to the DCA. 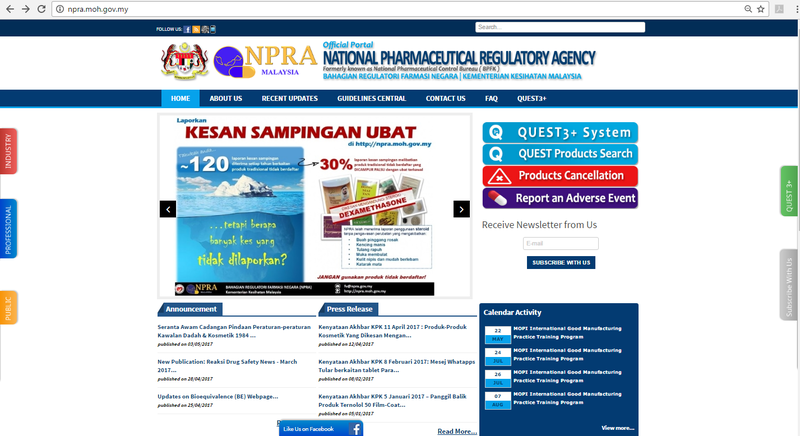 In addition, the NPRA also monitors products that have been registered through surveillance and pharmacovigilance activities (the monitoring of adverse drug reactions) to ensure that the quality, safety and effectiveness of medicines marketed in Malaysia are maintained as well as in compliance to the standards set by the DCA. 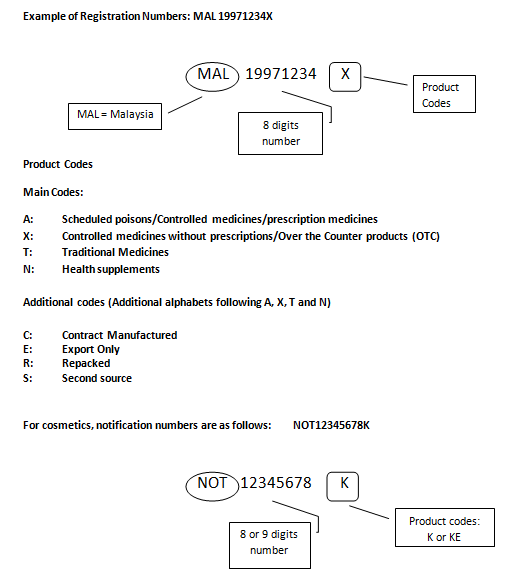 A registered medicine is a medicine which has been approved by the DCA to be sold or used by consumers in Malaysia. These medicines have been evaluated, tested and proven to be of quality, effective and safe. On the other hand, an unregistered medicine has not gone through the processes of evaluation and testing as specified above. Thus, the safety for use of such medicines is not guaranteed. In addition, unregistered medicines may also contain prohibited substances that can endanger the health of consumers and cause serious side effects if used over a long period of time. Get your medication from reliable sources such as pharmacies, clinics and hospitals. Check the authenticity of the product registration number and Meditag hologram label on the product. Check the label before buying or using any medicines. Make sure that all medicines used have been registered with the DCA Beware of health products that have excessive claims such as diabetes, stroke and so forth. Seek advice and further information on medicines from your doctor or pharmacist. 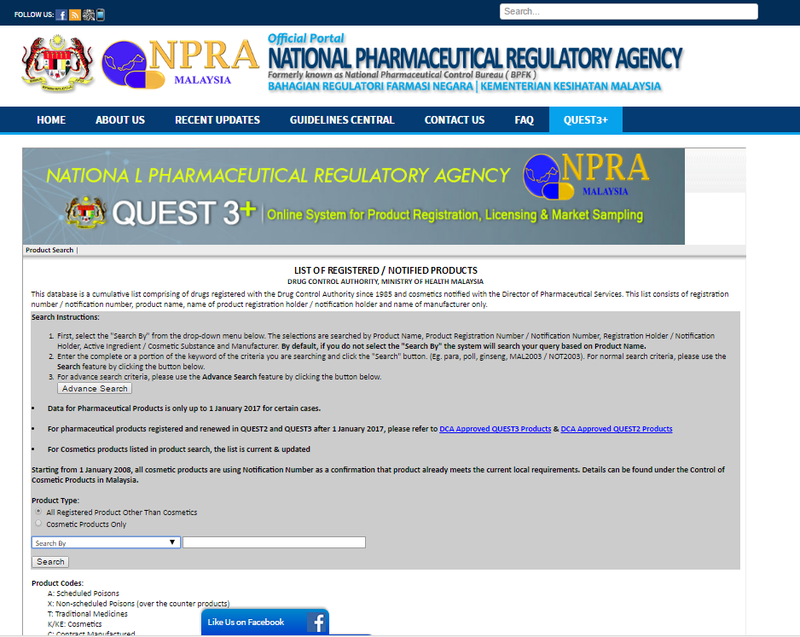 Consumers can check whether a product is registered with the DCA via the Registered Products Search service available on the NPRA website (www.npra.gov.my) as shown in the diagram below. Review of this database can be done using either the product name, product registration number, the name of the product registration holder, the name of the active ingredient or the name of the product manufacturer. 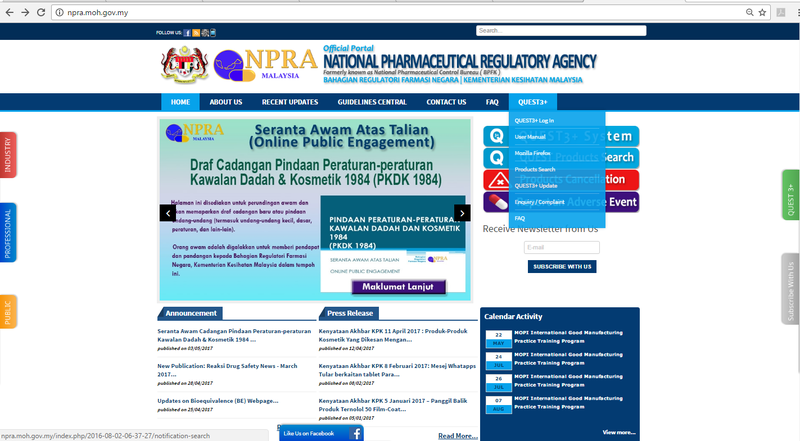 Consumers can browse the website www.pharmacy.gov.my to find out about verify on the registered products as well as unregistered products that have been identified to contain prohibited substances.